University of Utah has partnered with Flywire to offer an innovative and streamlined way to make a payment from your home country. Founded by a former international student, Flywire’s mission is to save money for international students and their families that would otherwise be lost on bank fees and unfavorable foreign exchange rates. Click here to go to utah.flywire.com, then enter your payment amount and country of origin. 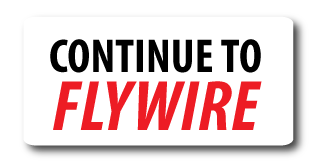 Follow the instructions provided to send funds to Flywire. For bank transfers, follow the instructions provided to send your funds. Depending on your bank, payment may be made online, in person, or over the phone. For debit/credit card payments, enter your card etails online to complete your payment in your home currency. Note: Additional local payment options may be available depending on the country you are paying from.